This is a very positive review, I’ll tell you right now. If you just trust me, then go grab the new Luminar now! This is simply a quick review with some comments and quite a few screenshots. This will be a living review, so I will be sure to add to it over time. Luminar is a great photo editing program that is simple, fun, and fast. 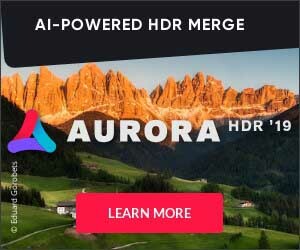 It comes from Skylum (formally Macphun), a company I teamed up with to make our own HDR Software called Aurora HDR, so you know it’s gonna be good. These guys have been making award-winning software for years. Luminar is an extremely powerful and fast photo editor that can do not only the most basic adjustments, but literally millions of “looks” for your photo. It’s extremely easy and fun to use and designed for all skill levels. For a limited time you can save $$ on select Skylum products (including Luminar) over in their store by following this link and using the coupon code STUCKINCUSTOMS during checkout. What are the top 3 features of Skylum Luminar? 1) The AI Slider! One simple slider that can have a tremendous effect on your photo. 2) Speed! It’s so much faster than Lightroom for editing photos. My Lightroom has been chugging lately, and Luminar is so fast. 3) Customizable Panels. If you only do Landscape and not Portrait, you don’t need to have all the Portrait panels over there to confuse the situation. Mac Only? Nope! Luminar 2018 runs on both Mac and Windows!!! Check out the Luminar website to grab it. That’s the big question you’re wondering, right? Well, YES, it is better in many ways. Remember, this currently is only a way to edit your photos — not to organize them. As of the time of writing this, I’m still using Lightroom to organize my photos. Lightroom is so slow it makes my skin crawl with pain as I howl into the night, a thousand dark shadows chasing my anguish into the abyss. You’ll find the controls in Luminar are much more powerful than the ones in Lightroom. I’d also wager to say that Luminar has at least 5 times as many control options as Lightroom. I’m excited to release these 29 really fun and beautiful presets (“looks”) for you! I’ve been perfecting them for the last seven years as I shoot photos of people and art at festivals around the world. Plus these also work great in other environments too, as you’ll see in the sample photos and videos. 25 presets. Imagine 25 warm, fresh donuts ready to glaze their way into your donut hole. Awww yeah… I love Luminar so much and figured out a few unpredictable ways to push the controls and create some interesting results. There is a wide variety of filters in here. Some work great with landscapes, some are better with people/portraits, and some are best for architecture. See that slider up in the top right – “Accent – AI Filter”? That’s where all the action is at! The first time you load up a photo, you will not see this slider. You have to first select the Quick and Awesome Workspace just above it. This one slider is so handy; in most cases, it’s all you’ll need! When you select the Workspace dropdown, you see these many selections. Based upon your selection, Luminar will load a series of panels in that are appropriate for the type of photo you’re working on. Here, I’ve chosen the Landscape workspace, and you can see all the panels that opened up underneath it. Well, you can see about half of the panels. Notice you also get the Accent – AI Filter in this workspace as well. I chose the “Portrait” Workspace for this strange photo of Olya, my videographer. We shot this in Budapest when we were making some new tutorial videos. Don’t ask me why I was in a Turkish bath with a bunch of men while she was videoing me; that’s another story. Anyway, as you can see there are different panels over on the right now from the Landscape panels. There is some overlap, of course, but Portraits typically use different sorts of controls. If you don’t know what Workspace you want, just pick the Essentials. As you can see here, it has everything that is, well, essential. At the bottom of all the panels is also an option for you to add you own filters as well. And yes, you can even build your own workspaces! One of my favorite Filters is the “Structure” Filter which you can see if you scroll down in the Essentials. It helps give photos a bit of that HDR Look. Here’s a little tip if you’re working on a photo that may not have that much color to begin with. 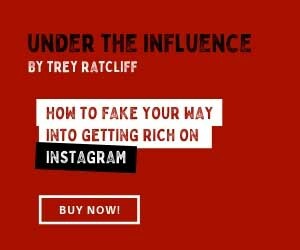 The Accent – AI Filter may not be strong enough to give you all that oomph you want, so don’t be afraid to find some other filters and move them around until you get the effect you want. Be like a kid and have fun with the sliders! All of the screenshots below were made with the previous version of Luminar. All of these functions still exist in the new Luminar, so I decided to leave a few of these items from the previous review! Here’s a great example of some of the power you can’t get in Lightroom alone. You can see I’ve chosen the “Orton Effect” filter. It’s extremely fast and this is a “look” you just can’t get in Lightroom because it involves a blending of layers (all of which is automatic in Luminar). Naturally, there are many vintage-feels to the filters as well. There are a ton of presets if you’re feeling lazy or just in a hurry! I was also impressed how it is quite easy to get an “HDR Look” by using some of the filters. For a limited time you can save 20% on select Skylum products (including Luminar) over in their store by following this link or using the coupon code STUCKINCUSTOMS during checkout.